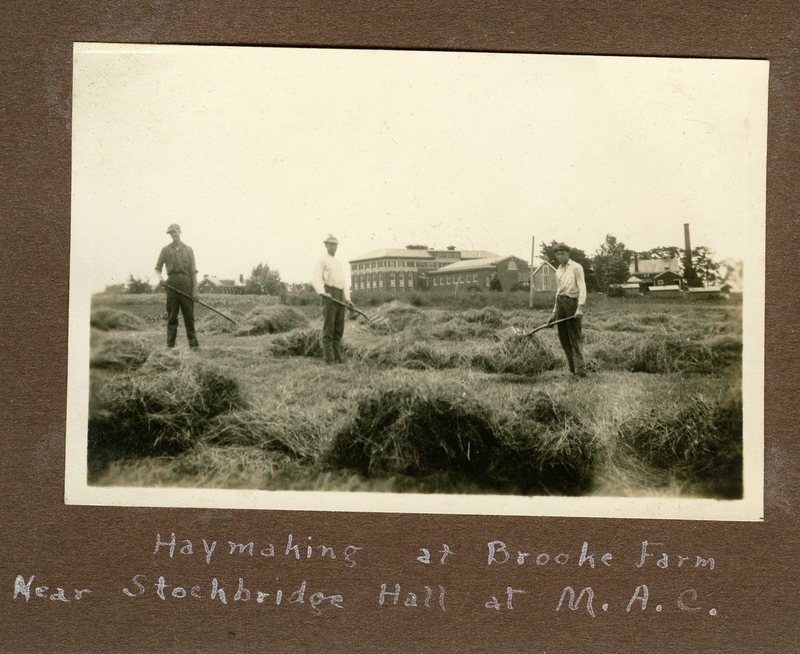 Haymaking on campus in 1922 or 1923. Haymaking on campus in 1922 or 1923. Stockbridge Hall can be seen in background (prior to the enlargement at the rear of what is now Bowker Auditorium). Courtesy Special Collections and University Archives of the W.E.B. Du Bois Library at UMass Amherst.